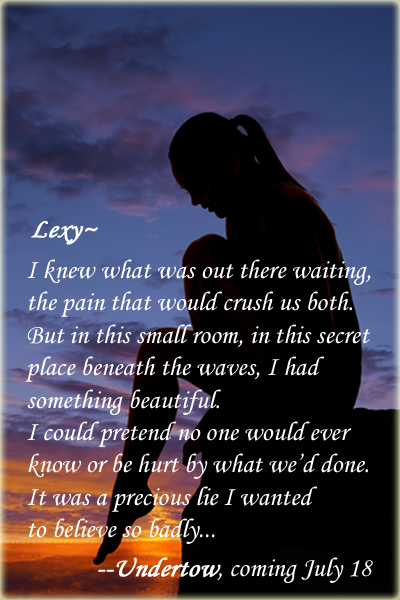 Leigh Talbert Moore, Author: #TeamUll, Undertow Teaser #3, and Kelly Oram for the #WIN! #TeamUll, Undertow Teaser #3, and Kelly Oram for the #WIN! Happy INDIEpendence week (link), reader-friends! The Indelibles (link) are taking this holiday opportunity to celebrate independent authors we've discovered across the past year. I'm spotlighting author Kelly Oram, who's hosting a Giveaway for a $50 Amazon Gift Card (below). My awesome writer-friend and fellow Indie Ignites memeber S.T. Bende has been nominated in the NA Alley "New Adult Crush Tourney" (link). She's up against some pretty stiff competition, but I'm here to ask you to vote for her character Ull from her book Elsker. TODAY is the day to vote for Ull, so if you would, go here and give him some love (link). And finally, who's ready for a new Undertow photo teaser? You can join the Release Day Launch for Undertow! Click Here, fill in the form, and you'll be sent all the information for July 18 for your blog or Facebook page. Now for Author Kelly Oram! I first noticed Kelly with her book V is for Virgin, which I still want to read. And when I saw The Avery Shaw Experiment, I had to scoop it up. "Aves" and Grayson are working on a science experiment to help her get over her broken heart. He's an "impartial observer" (in a way that's similar to fake dating), but Grayson, the jock/most popular hottie at school, is already falling for Avery, the cute little science geek. Watching Avery work through her feelings, get over her ideal dream of being with Aiden through dating--and occasionally kissing--Grayson, is fun, swoony, and at times steamy. Avery's all wounded innocence trying to move on, while Grayson is charming determination to get the girl. So if you love Jason and Harley, you will LURV Grayson and Avery. Here's the scoop on The Avery Shaw Experiment! Run get your copy now (link)! Kelly Oram is the author of Being Jamie Baker, Serial Hottie, V is for Virgin, The Avery Shaw Experiment, and Chameleon. Find out more about Kelly and her books at her Amazon page; and follow her on Twitter | Author website. How to #WIN? Kelly's celebrating the release of her new book Chameleon with a $50 Amazon Gift Card Giveaway! Go here (link) to enter. 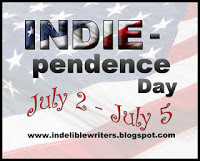 And please visit ALL the FAB independent authors being spotlighted July 2-5 here (link). The Avery Shaw Experiment sounds like so much fun. There's a periodic table! On the cover! And a science experiment! And oh, I clicked buy. I've seen some of Kelly's books around Twitter. Need to add her to the TBR!